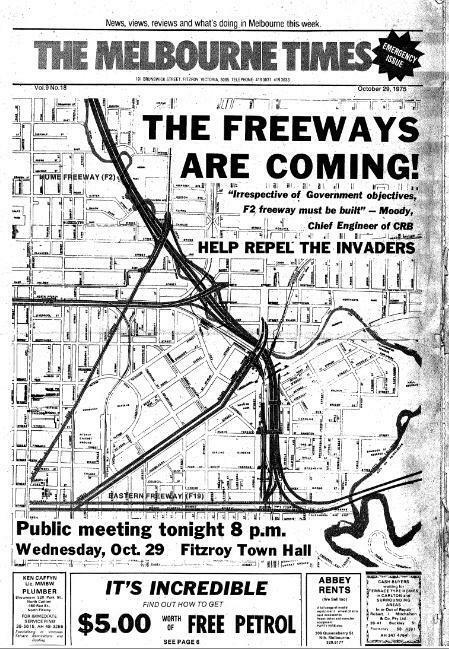 Residents of Melbourne’s inner suburbs have been fighting attempts to carve freeways and tollways through our city for decades. In the 1970’s and 1990’s we defended the inner north against the F19 and Alexandra Parade widening. 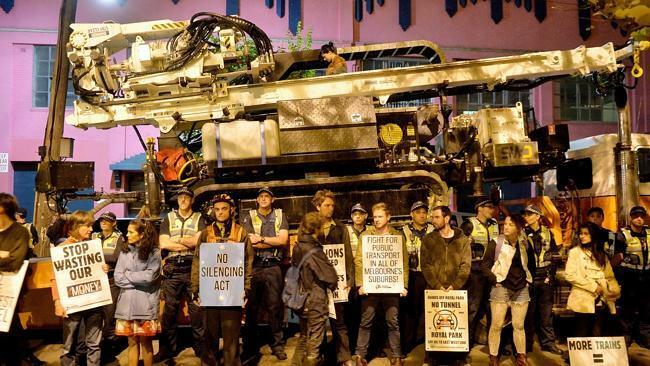 In 2008 we began organising against East West Link Needs Assessment. And in 2012 – 2014 we successfully fought the Napthine Government’s disastrous East West Link. After that amazing success many thought we had finally stopped the politically-driven transport planning process in Victoria. Here we are again, facing a mega roads agenda with no vision for a sustainable and integrated transport system for Melbourne. This time it’s west and north-east residents that are facing the onslaught. Both the West Gate Tunnel project and the North East Link Option A will threaten the inner north and the city, adding traffic chaos and putting the East West Link back on the agenda for the future. Both will destroy open spaces, amenities and people’s homes. Our air quality will worsen. Flyovers and elevated roads will blight the landscape. We will all suffer from these roads. All of us will be impacted. And if we let this happen, it will happen again and again, because we all know that building more roads means more cars, and then more roads, more destruction of our living spaces. Its time to stand up and reclaim our right as citizens to have a say in how our city is planned. Its time to say NO to planning being dictated by corporations like Transurban who are motivated by profiteering from toll debt. From Sustainable Cities: Melbourne is in the middle of a transport planning nightmare. Our elected officials are committing to megaroad projects that won’t ease congestion. Instead we’re left with transport, health and amenity nightmares across Melbourne. 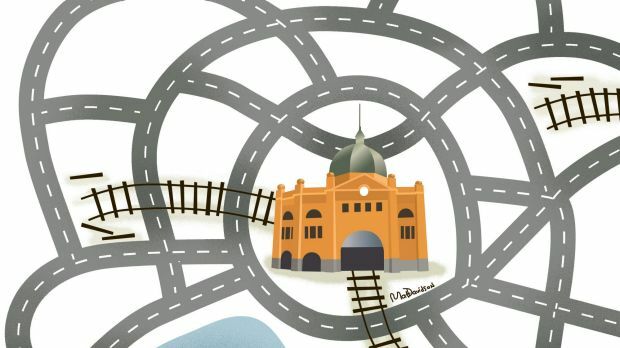 We can’t build our way out of the transport crisis facing Melbourne with roads. Everytime we build a new road, or widen an existing road, they fill with more traffic. The community are going to take action into their own hands. We have to do what governments have failed to, to disrupt the politics of transport policy in our city. We are launching our own community transport action plan. Community solutions will put livability, jobs, health and the environment first. Our vision brings together ideas from Melbourne’s transport academics, community groups, workers, and road users. During 2018 we’ll test for broader community support in a huge grassroots civil society consultation process. Meet us at Parliament House steps on the first day of Parliament 2018. We’ll hear about the ongoing health impacts of mega roads, the job potential from investing in sustainable transport options, politicians that are standing up for sustainable transport, and how YOU can get involved. The West Gate Tunnel project will create more congestion and pollution. It’ll increase Transurbans’ profits, a private corporation already making super profits from Victorians and evading tax. Meanwhile, North East Link plans funnel more traffic onto the Eastern Freeway. This prevents further rail infrastructure and inevitably leads to more road widening and more tolls. The opposition are no better, reigniting the East West link project as a top priority. These projects push thousands more cars into our congested city. YCAT is re-posting this important and damning letter by senior transport planner William McDougall, published in the SMH and The Sunday Age, Jan 7th 2018. YCAT hosts complete copies of the Eddington Investing in Transport Report (2008) and the Norther Central City Corridor Study (2001) that are referenced in the article below. We do this in the hope that one day transport planning will be evidenced based and not corrupted by monopolistic corporate interests. Neither study is available on any Victorian Government web site, despite being publicly funded. Victoria’s politicians have thrown away the benefits of the state’s stamp duty bonanza and the proceeds from the Port of Melbourne sale over recent years by investing in politically motivated, badly conceived road projects.They have also delayed and dumbed down vital public transport projects. All of this has been for purely political reasons, yet it hasn’t even delivered political success: the last two state elections have been lost on transport grounds. The next could go the same way. We in the real world have known for years that building more roads generates more traffic and worsens congestion. For this reason, Melbourne’s growth and economic success is best served by putting public transport first, not last. Last Friday, as the end of the year approached, the government released the heavily redacted contract with Transurban for the West Gate Tunnel. It will cost Victorians billions, unnecessarily, and yet it is just the latest in a string of foolish road projects this state has embarked on.